Some companies build their cabinets using a European style “Frameless” construction. The selling point is that frameless construction offers slightly more interior space. This extra space is marginal at best and is well worth trading for a much sturdier framed cabinet. At Island Cabinet Shop we feel quality is every bit as important as appearance. 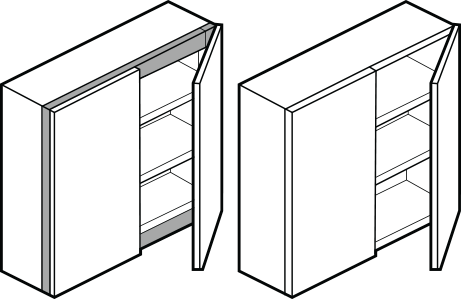 That is why all our cabinets are built using traditional North American style “Framed” construction. Renowned for its durability, this construction method is the most widely used in North America.